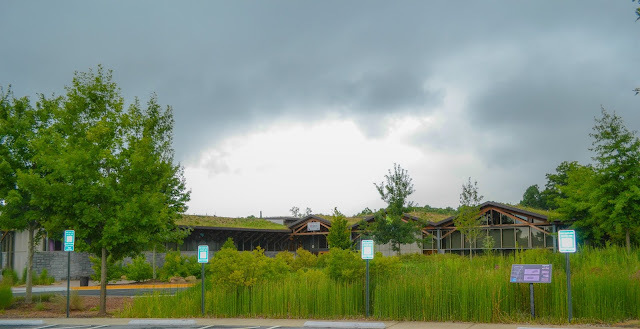 There are so many cool attractions in Gwinnett that I have on my bucket list. Luckily, today I can say I can scratch one off. 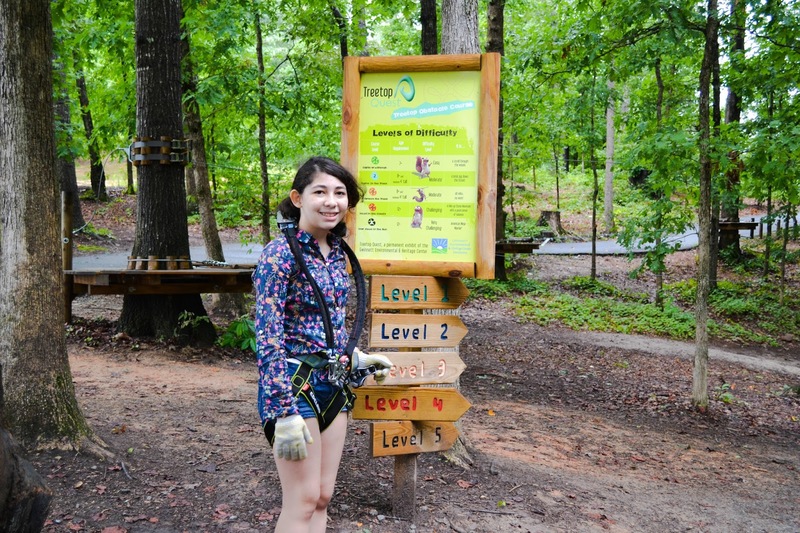 This past weekend our friends at Treetop Quest invited us to experience a very unique eco-adventure. Zip-lining through a lush jungle of trees. If you are unfamiliar with Treetop Quest, this is a unique family friendly obstacle course for all ages, and is one of those things that you need to try at least once in your lifetime. 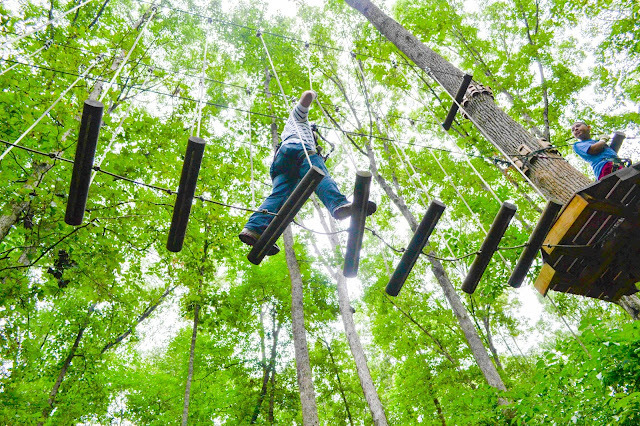 Treetop Quest offers innovative, engaging recreation for adults and children. It features zip lines, monkey bridges, Tarzan swings and flying foxes at heights of up to 55 feet off the forest floor! 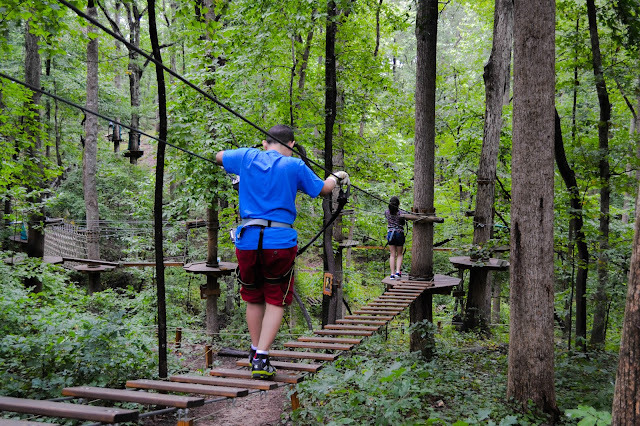 Treetop Quest is a self-guided activity. Once you are equipped, they will teach you how to operate your equipment and you will be good to swing through each course as many times as you want, for 2.5 hours (according to age limits). 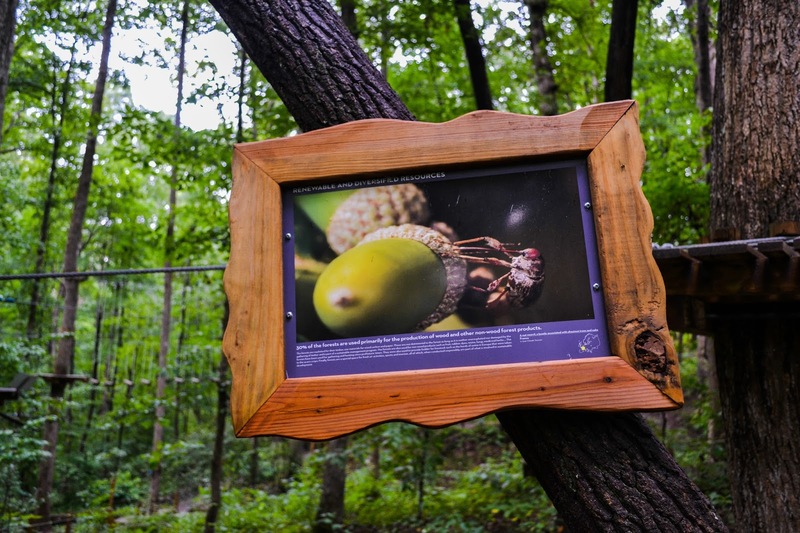 Treetop Quest is about teaching people about nature and the environment. You will find educational posters throughout the park and integrated quizzes, and in order to find the answers you need to go through the different obstacles courses. 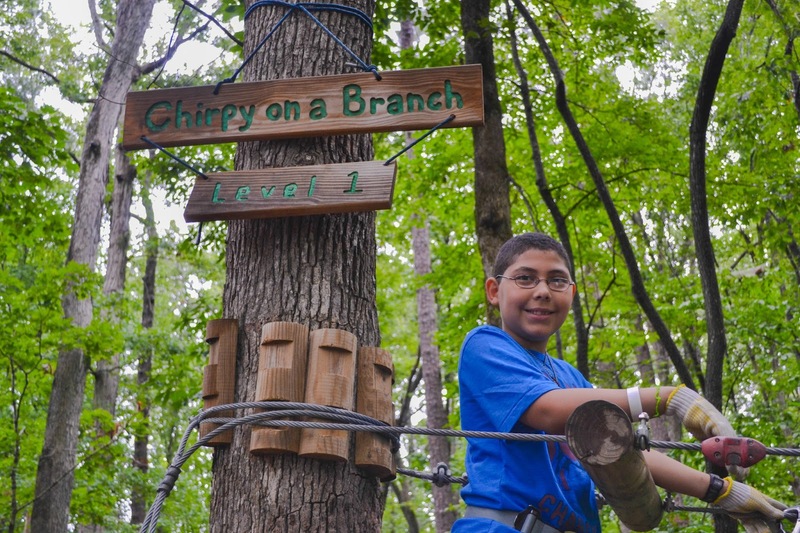 Sustainable development is the intrinsic theme for the activity at Treetop Quest. 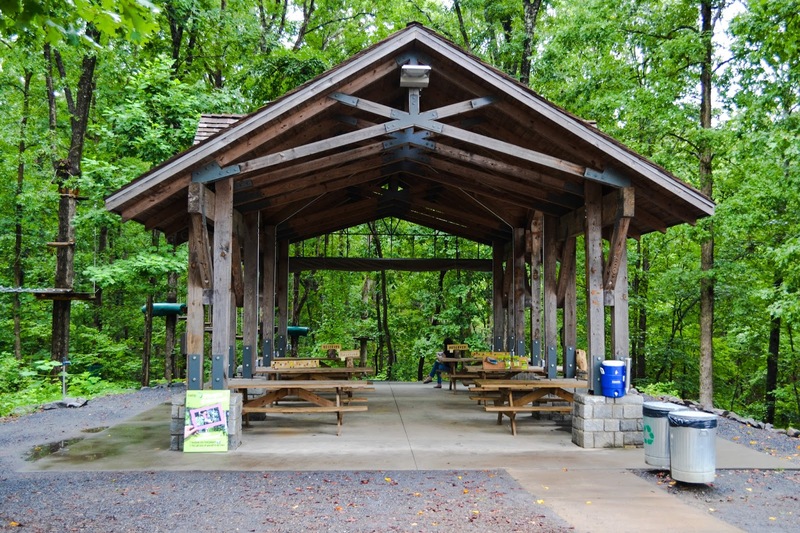 Guests at the park will learn about and engage in the environment while having a minimal impact on the natural surroundings. 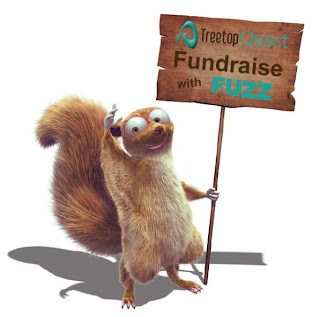 The structures at Treetop Quest are absolutely treatment-free with no nails, screws or puncturing of any tree. At Treetop Quest, they can cater to many types of groups and organizations such as company retreats, school field trips, scouts, church groups, birthday parties, and bachelor/bachelorette parties. They also have a night climb for the very adventurous group! 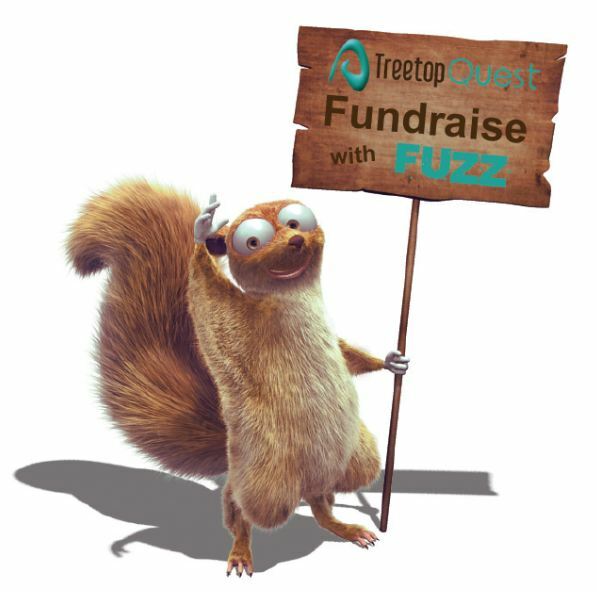 Treetop Quest also offers the opportunity for organizations to raise funds through their Treetop Quest Fuzz Raise Card. 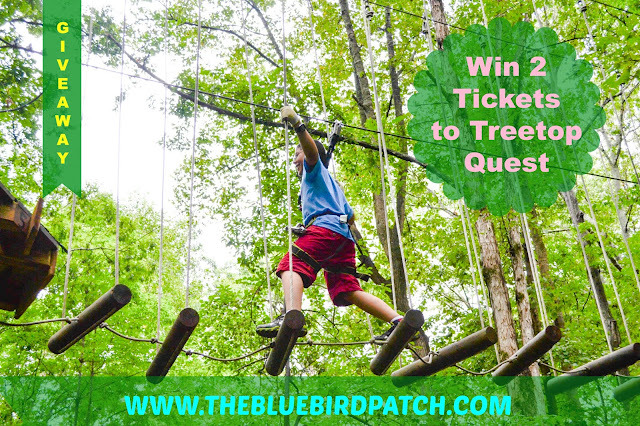 Treetop Quest is allowing one lucky Bluebird Patch reader to win 2 tickets to Treetop Quest. 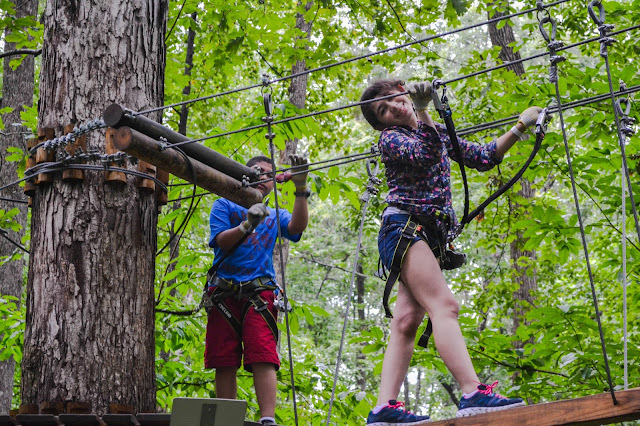 All you have to do is to watch the video and tell us what's you favorite thing at Treetop Quest. After watching the video please leave us a comment and proceed to register your entry using our Rafflecopter widget. You can tweet daily for extra entries!